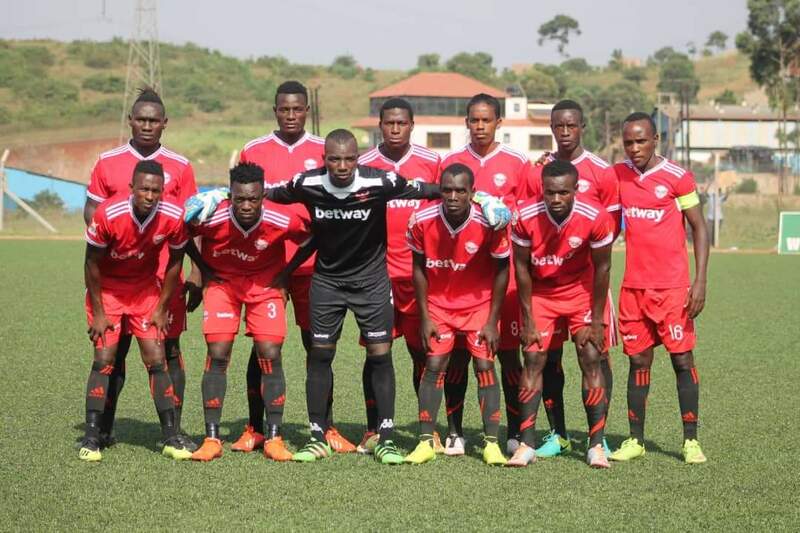 WANKULUKUKU – Express FC will entertain Maroons FC at the Betway Mutessa II Stadium in Wankulukuku on Thursday afternoon. Fresh from eliminating Police FC from the Uganda Cup on Monday, George Ssemwogerere’s side will be hoping to make it three wins in as many games after also defeating Nyamityobora 2-0 in their last League encounter. Without any telling injuries going into the game, the Red Eagles know that there is no excuses for not winning the game. “This is a game that everyone one expects us to win, said Ssemwogerere ahead of the game. “Yes Maroons are a strong side and are in desperate need of points but we are Express and we are expected to defeat them at home. “It is good that we head into the game on the back of victory which lifts the players’ spirits. “It will not be so easy but i am confident we will get all three points. The Red Eagles are expected to be without Shafik Kakeeto who was withdrawn out of the Police game due to injury. The defender is not expected to be back until next week. The other key absentee is striker Eric Kambale who is still nursing a hamstring problem. For Maroons, they start the day only two points off the third relegation spot following Ndejje University 4-3 win at home to Tooro United on Wednesday afternoon. With game running out, the Prison’s side know that they need to start accumulating points as soon as possible so as to pull away from danger as soon as possible. However, they come up against a side that they have not defeated away from home in ages. This will be the 8th meeting between the two sides since 2011. In the other 7, Express have won 4, lost one and drawn two. Both of their last two encounters have ended 1-1 including the reverse fixture last season and in the first round. Going into Thursday’s game, Express have won only one of their last six League games (D2 L3). At home, they have not won in any of their last two, losing 2-0 to Police and drawing 0-0 against Ndejje University. For Maroons, they have also won only one of their last 6 League games (D2 L3). Away from home, the Prisons’ side have lost only one of their last four League games (W2 D1).